The US space agency released a spectacular video detailing the testing of an interplanetary landing system, which is designed to place more massive payloads on the surface of Mars, as it hurtled toward Earth. In the cosmic quest to explore the surface of Mars, NASA is attempting to devise technologies that will allow it to deliver heavy payloads to the mysterious red planet. In June, NASA engineers, with the help of a massive balloon, lifted the 7,000-pound (3,175 kg) saucer-shaped test vehicle to an altitude of 190,000 feet (58 kilometers) before it was released. The strenuous trial, which tested the so-called Low-Density Supersonic Decelerator (LDSD), was designed to create conditions similar to that of a Mars landing. At this point, with rockets firing to keep the vehicle stabilized, video from NASA’s Jet Propulsion Laboratory showed the ‘flying saucer’ traveling at a speed of Mach 4.3 – or more than four times the speed of sound. Engineers then released an inflatable, life-preserver shaped device around the perimeter of the vehicle, officially known as a Supersonic Inflatable Aerodynamic Decelerator, or SIAD, which slowed the craft to Mach 2. However, while the inflatable device proved tough enough to endure the rigors of such intense force, the 100-foot-wide parachute proved less successful, and nearly disintegrated as it attempted to slow the bulky, fast moving object on its descent toward Earth. "The idea of taking 200 pounds of Kevlar and nylon and deploying it at 2,500 mph, 200 pounds that inflated would be the size of a small warehouse, is certainly a challenging endeavor. 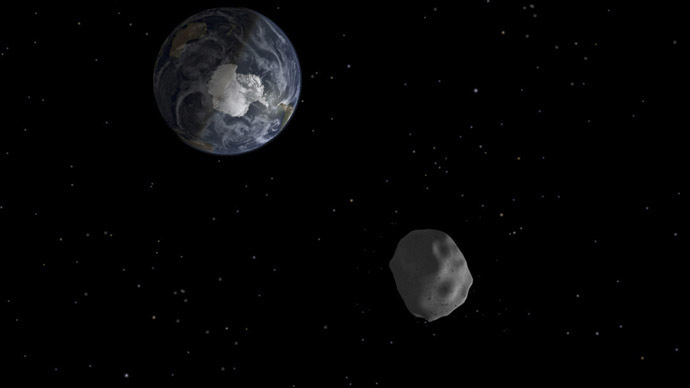 There's a lot of physics with this problem that we're now gaining new insights into that we've never had before," said Ian Clark, principal investigator at NASA's Jet Propulsion Laboratory, as quoted by AP. "We're going to take all of that knowledge, and feed it toward our flights next year." Despite the setbacks, NASA officials were clearly pleased with the video data sent back from the vehicle. 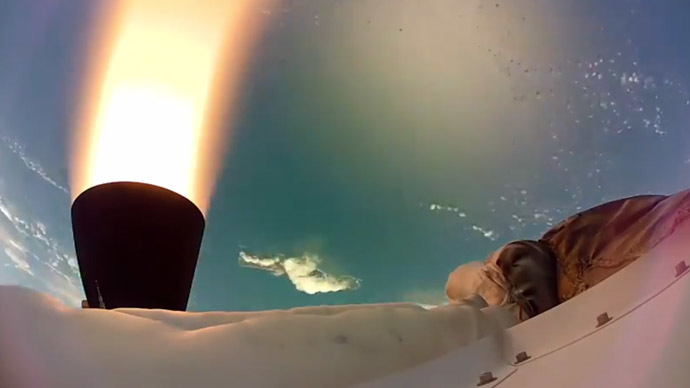 Project manager Mark Adler said that the videos will help his team as they continue to study how to improve the LDSD’s performance for a mission to Mars. “If a picture is worth a thousand words, then a video is worth about a million,” Adler said, as quoted by the Los Angeles Times. 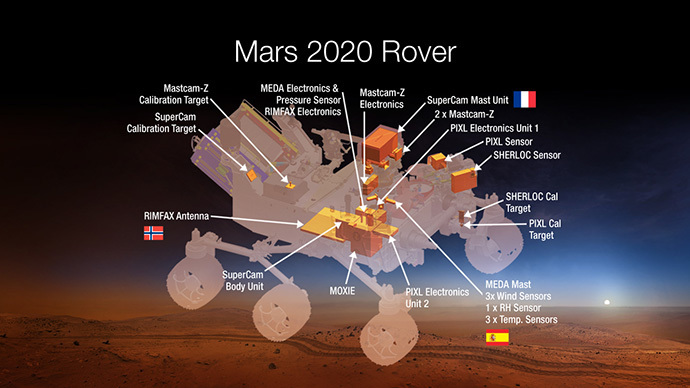 The government space agency then hinted of more ambitious plans for the red planet in the future, which will include crews. That will require new landing equipment to replace the basic Viking parachute system, which has been used since 1976, when NASA placed two vehicles on Mars. NASA, which will conduct its second round of tests on the ‘Flying Saucer’ next summer, just celebrated the two-year anniversary of placing its most sophisticated rover, Curiosity, on the surface of Mars, which was also carried out using basic parachute landing gear. 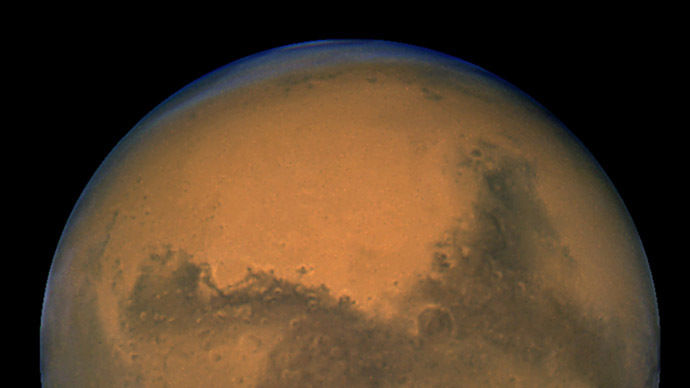 The distance between Earth and Mars constantly changes due to the difference of their orbits. In 2003, Earth and Mars were only 56 million kilometers (35.7 million miles) apart, the closest they’d been in 50,000 years. On July 27, 2018 the red planet will be 57.6 million km (35.8 million miles) from Earth.